Hugh Jackman has started up the rumor mill — through his own Instagram account, no less. 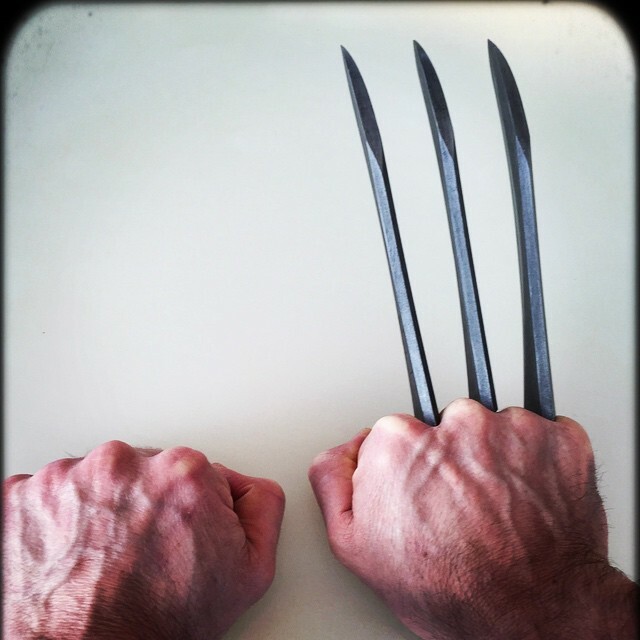 He recently posted an image of his hands and the Wolverine claws with the caption “WOLVERINE… ONE LAST TIME.” Would X-Men: Apocalypse be the last film he’ll play Wolverine in? He hasn’t even been confirmed for it and was assumed to not be in it. Instead, it’s most likely the upcoming The Wolverine film that Fox has slated for 2017 that he’s referring to. Still, would he stop being Wolverine? He said as recently as February that “I said to my wife, ‘The moral is that I should never stop playing Wolverine. I’ve got to find a way to keep playing him until I die.’ I know that someday they’ll recast the role with another actor… I’d be happy if the role was eventually recast. It would mean that it had become iconic.” Maybe… he’s just just making a play while negotiating his contract? Or perhaps he changed his mind and is finally finished.